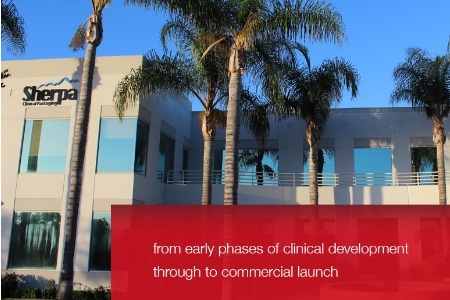 September 10, 2018 Leading global biopharmaceutical outsourcing services provider PCI Pharma Services (PCI) is pleased to announce the acquisition of San Diego-based Sherpa Clinical Packaging (Sherpa), which expands PCI’s U.S. operations to the West Coast. The acquisition of Sherpa, a provider of clinical trial supply services, further strengthens PCI’s position as a leader in outsourced clinical trial support services. The addition of Sherpa’s capabilities also enables PCI to better support customers from early phases of clinical development through to commercial launch. Sherpa was founded in 2010 by Mark Paiz who identified the need for a clinical packaging services provider for the biopharmaceutical hubs on the West Coast. Sherpa’s core services include primary and secondary packaging and labeling for Phase I-IV studies, distribution, storage and returns. Sherpa’s state-of-the art facilities employ the latest cold chain technologies that include handling products requiring labeling and kitting at frozen and refrigerated conditions. PCI has been rapidly growing its capabilities and global presence to offer differentiated solutions for its clients. PCI’s global molecule-to-market services span contract development and manufacturing, including market-leading specialization in highly complex and potent drugs, clinical supply services and commercial packaging services. The company is strategically and actively investing in the expansion of its global Clinical Services business and this marks its third acquisition in 12 months. In 2017, PCI acquired EU-based packager Millmount Healthcare in Dublin, Ireland, in order to expand its European footprint as well as to address customers’ Brexit concerns. In February of this year, PCI established its presence in the Asia Pacific region with the acquisition of Pharmaceutical Packaging Professionals (PPP), based in Melbourne, Australia. In addition to providing regional capacity expansion and increased market access, this acquisition added new early phase sterile and non-sterile drug manufacturing capabilities. Additionally, PCI announced significant site expansions at both its Bridgend, U.K., and Rockford, IL, Clinical Services centers of excellence, including considerable investment into its industry-leading cold chain infrastructure. PCI employs more than 3,500 associates across 18 GMP facilities in 7 locations. The addition of Sherpa will add two additional state-of-the-art San Diego-based facilities. Headquartered in Philadelphia, PA, PCI is principally owned (on behalf of its clients) by Partners Group, with partner investors Thomas H. Lee Partners and Frazier Healthcare Partners. Goodwin Procter LLP acted as legal counsel to PCI for this transaction. PCI engaged global professional services firm Alvarez & Marsal to provide due diligence services.